In the business world, trademarks are essential to brand building. Without the protections put forth by trademark registration, building a consistent brand would be impossible, and competitors could easily attack your brand name and company image through unmitigated use of your logos, names, and other creative entities to which you should have exclusive rights. Plus, trademarks help businesses to make and sell their products and services without competitors replicating some of their marketing strategies. As such, trademarks are an integral part of operating a business, and as business diversity has expanded over the years, so has the complexity of the law that surrounds trademark registration. If you’re considering trademark registration for your business, you may be overwhelmed at the prospect of the process. After all, it’s rather convoluted, legally speaking — fortunately, you can hire a trademark attorney to make the process simple (and to ensure that you apply for a trademark properly, to gain full protection from its registration). Here at Gross Law Group, P.A., we specialize in trademark law, including trademark registration, disputes, and litigation. We find that our clients often have questions when they approach us for any of our trademark law-related services. That’s why we’ve catalogued a few of the most common questions we encounter, as well as their answers. Learn a bit a about trademark law below, and give us a call if you have any questions about trademarks for your business. Trademarks protect signs, designs, and idioms that have been created by a company or an individual. Individuals, businesses, and legal entities can claim a trademark on original designs, signs, and expressions. Individuals, businesses, and legal entities can also claim a registered trademark which must be filed through the United States Patent and Trademark Office (USPTO). Registered trademarks provide added protection over unregistered trademarks (see the next two sections for more details). What are the differences between ®, ™, and ℠ symbols? 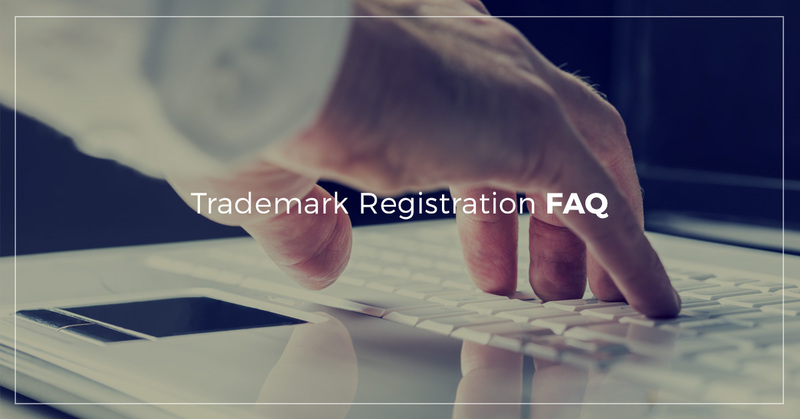 A registered trademark may be followed by the ® symbol, while unregistered trademarks may either be ™ or ℠ symbols, meaning trademark (for products), and service mark (for services). Unregistered trademarks do provide some legal protection for the owner of the trademark. However, registered trademarks provide more protection, since they’re registered with a federal entity (the USPTO). In addition, you can obtain a copyright for entities that you own. However, copyrights differ from trademarks. Copyrights are reserved for creative works (for example, a book or a video). Copyright registrations may also be filed with the USPTO to protect those entities. If you’re running a business, it’s likely that you’ll need a trademark. If you want to protect your business name, the names of your products, your logos, or any other original proprietary entities, then it may be wise to back those entities with a registered trademark. As we mentioned, you can add ™ or ℠ symbols to gain some protection from copy infringement. However, it may be advisable to attain a fully registered trademark. Registering your trademark with the USPTO establishes your legal right to ownership of that trademark with a federally run organization. Registering a trademark provides a variety of benefits for the owner. For instance, registered trademarks have nationwide protection. Registrants can also use their registration in federal court and other court settings, should there be a dispute surrounding their trademark. Trademark registrations also enable you to file your trademark with U.S. customs to keep individuals from importing trademark infringing products. When can I use ®, ™, and ℠ symbols? You can only use the ® symbol if you have completely registered your trademark with the USPTO. If your trademark registration is still pending, you may not use the ® symbol. However, you can still use the ™ and ℠ during this time. ™ and ℠ trademarks are common law trademarks and they may be used to establish trademark rights for names, products, logos, services, and other entities. No. Anyone can file a trademark themselves. However, filing a trademark is a complex process, and utilizing an attorney may be advisable, since there are risks involved with filing a trademark improperly. Plus, trademark registration is a relatively inexpensive process with the Gross Law Group, P.A.. Speak to an intellectual property attorney for more information on the benefits of hiring a lawyer to file your trademark registration on your behalf. Yes. Registered trademarks may be transferred from owner to owner. In fact, pending trademark registrations may be transferred as well. Transfers, or “assignments,” require a contract to be registered with the USPTO, alongside a fee. The United States Patent and Trademark Office (or USPTO) processes trademark registrations. What is a trademark specimen? And will I need one to register my trademark? Trademark specimens provide physical evidence of your trademark. For products, a trademark specimen may be necessary for registration, and you may utilize packaging, tags, containers, labels, manuals, or other product-related items that exemplify how your trademark is utilized. For example, a clothes manufacturer may provide a clothing label with their trademarked name as a trademark specimen. For service trademarks, trademark specimens may include content, instead of a physical item. Service trademark specimens may range from brochures to flyers to a website. How long do trademarks last? Can a trademark be renewed? Trademarks remain valid for 10 years, although an affidavit must be submitted to the USPTO between the fifth and sixth year of registration to notify the office that the trademark is still in use. How original must a trademark be? And how is originality determined? There’s no black-and-white answer for these questions. Ultimately, the USPTO will determine whether or not a trademark is original. An examining attorney can scour USPTO records to look for similar trademarks on your behalf, since the USPTO does not provide this service. For both product and service trademarks, examining attorneys look for similar trademarks, since similar trademarks may cause a registration application to be disapproved. Take note, trademarks do not need to be identical to create a conflict. In certain cases, similar trademarks can create a legal conflict. In general, your trademark shouldn’t be easily “confused” with another trademark. Your trademark must be distinguished enough to obtain registration through the USPTO. If you’re curious whether your trademark is unique enough to be protected by trademark rights, contact an intellectual property attorney. Still Confused About Trademark Law? As we mentioned, trademark law is confusing and convoluted, and obtaining a trademark registration can be difficult. We’re here to help. Gross Law Group, P.A. specializes in trademark law, and we be happy to help you navigate through the trademark registration process. Give us a call today to get started.